We offer you beautiful custom painted oil portraits from your photos and exceptional customer service. We employ only the most talented, experienced professional artists to paint your personalized oil portraits. 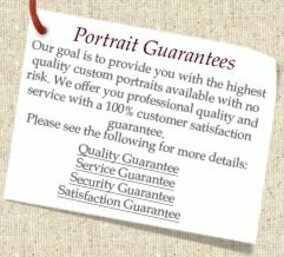 GuaranteedPortraits will transform your most treasured photos into beautiful oil portraits painted by hand. Our professional artists will paint unique personalized oil paintings and custom portraits from your photos. If you send us a special photo of your family, your children or yourself, our professional artists will convert the picture into a stunning oil portrait that you and your family will enjoy for the rest of your life. Although the results are very detailed, the process is actually very simple. All you need to do is send us a photo you would like converted to an oil portrait. 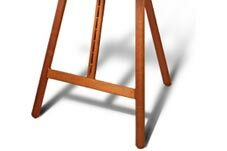 Once our portrait painters have finished, we will send you the photo of the finished painting for your approval. If you are not completely satisfied with the oil portrait, please notify us immediately and we will make any necessary changes. When you are 100% satisfied, we will send you the painting so you can decorate your home or present it as a gift.